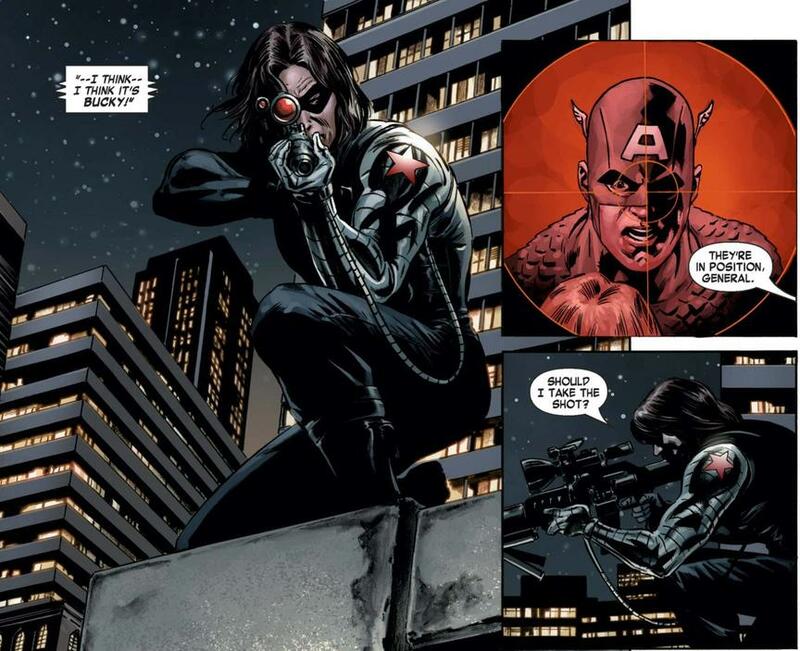 Bucky Barnes, the Winter Soldier, has made some mistakes over the years. 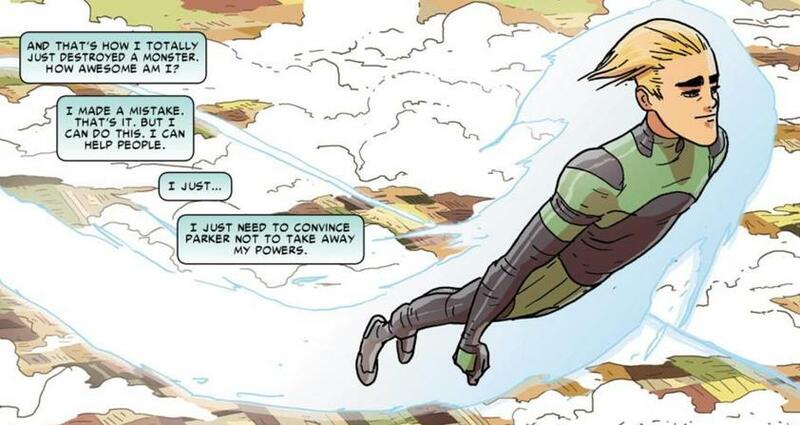 The latest may proved to be his sidekick RJ, as fans have read in WINTER SOLDIER, which wraps up its five-issue run this week. Whether his dark turn was a result of Barnes sidelining him or recruiting him in the first place, Barnes may need to face the possibility that he has created one of his greatest enemies. At least the Winter Soldier can take comfort in the reality that in the Marvel Universe, sidekicks have gone bad with notable frequency. Bucky Barnes should already know how this song goes because he has danced the steps himself. As Captain America’s World War II sidekick, Barnes seemingly died in the same incident that sent Cap tumbling into the freezing water where he spent years in suspended animation. However, he survived the explosion to be found and taken in by the Soviet government. There they brainwashed him and set him out against their political enemies as their greatest assassin, the Winter Soldier. A cycle of sending him out on missions then putting him in suspended animation took Bucky through the entirety of the Cold War and beyond. It did not end until Barnes went after Cap himself, and Rogers managed to break years of brutal mental programming. The decades of blood on Barnes’ hands, however, cannot be erased. Truthfully, Alpha aka Andew Maguire was less a sidekick gone bad than a sidekick who was never really good. After using his powers recklessly in his first couple of endeavors, Spider-Man downgraded Alpha by telling the teen that maybe his power levels would return someday when he was older and more ready to utilize them in a safe, helpful manner. The Superior Spider-Man gave Alpha more power for his own purposes and let Maguire keep it. Maguire then tried the hero game again in Pittsburgh. In short order, he nearly killed a mugger and then turned him into a walking cancer cell monster called Zeta. He was then blackmailed by a local crime boss named Cohen into looking the other way when said boss engaged in criminal behaviors. He continued to act as a hero of Pittsburgh despite this arrangement with Cohen and the knowledge that if he releases too much energy on a criminal he can turn them into another Zeta. They ended up in suspended animation briefly before being unfrozen to receive therapy. The therapist, however, turned out to be Dr. Faustus, who brainwashed Cap into becoming a white supremacist and shooting Monroe. Monroe, however, survived and was scooped up the government who got him the help they initially failed to provide. While he suffered from confidence issues and lots of unresolved anger, he proved a largely functional hero in the 1990s as Nomad. However, Peter Gyrich would get to him at the start of the 21st Century and mind control him into becoming a tool of the U.S. government called Scourge. In this role, the always anti-Super Hero Gyrich sent Monroe out to eliminate super-powered individuals that the government felt were unfavorable. Things got even worse after Monroe escaped the programming. He began to experience manic episodes as well as a physical breakdown in his body. Before long, he started to suffer from paranoia and delusions. Finally, the Winter Soldier, still under Russian control, killed him. Born with mutant abilities that made him somewhat resemble a great ape in physical appearance, strength, and agility, all Martin Blank wanted was to partner up with Spider-Man and be a hero. Even though he did a decent job, when Gibbon sought to make it official, Spidey outright laughed at him. Embarrassed and angry, Gibbon fell under the tutelage of Kraven the Hunter and went full-villain – briefly. In the years that followed, he bounced between half-hearted, easily-beaten villainy and overlooked or mocked heroics. Readers of AMAZING SPIDER-MAN know how the latest chapter of his life went, and it did not have a happy ending. Jeff Wilde, son of a Moon Knight villain known as the Midnight Man, wanted to prove that his family had no legacy of villainy. To do so, he elected himself Moon Knight’s new sidekick and donned an identical costume. Despite not choosing him, Marc Spector did not dissuade the younger man from joining him on missions. Before long though, Wilde proved unquestionably unprepared for high-danger super heroics. 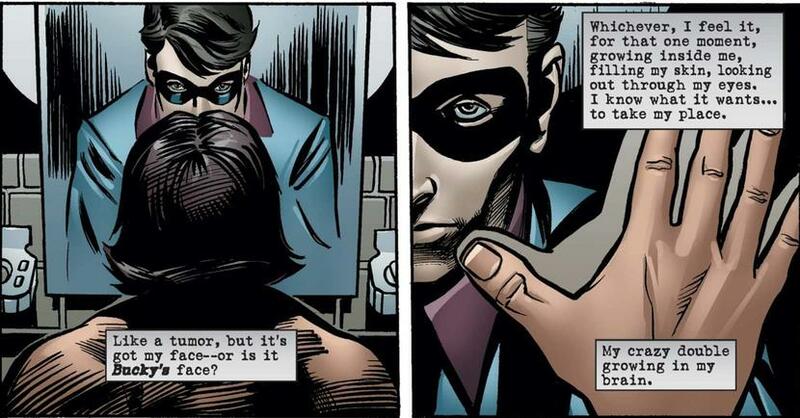 Ill-trained and too impulsive, Midnight ended up captured by the Secret Empire. When Moon Knight, along with Punisher and Spider-Man, tried to save Wilde, a member of the Empire shot and killed him. In reality, however, it provided a distraction to abscond with Wilde’s body. The Empire used him as a living experiment, eventually turning into a cyborg. Believing that Moon Knight left him to die and fitted with a chip in his brain that caused him unbearable pain, Midnight willingly became the Empire’s living weapon. Even when the chip was defused, Wilde decided to stay with and assume control of the Empire. 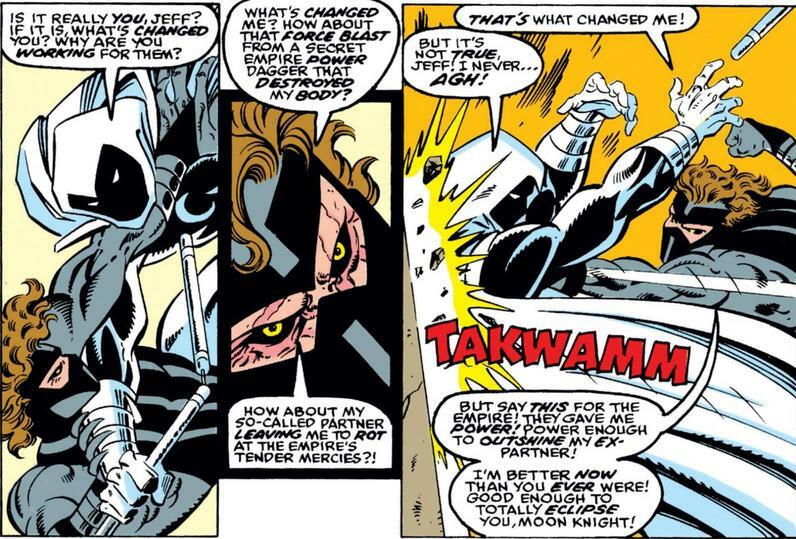 Midnight has been seemingly killed twice, once in battle with several heroes and once directly by Moon Knight himself. However, given how little of him remains organic and how many times Wilde has seemingly died, it does not seem entirely far-fetched that he may return sooner rather than later. So, what fate will RJ meet if he continues down the antagonist path? You’ll have to read to find out! 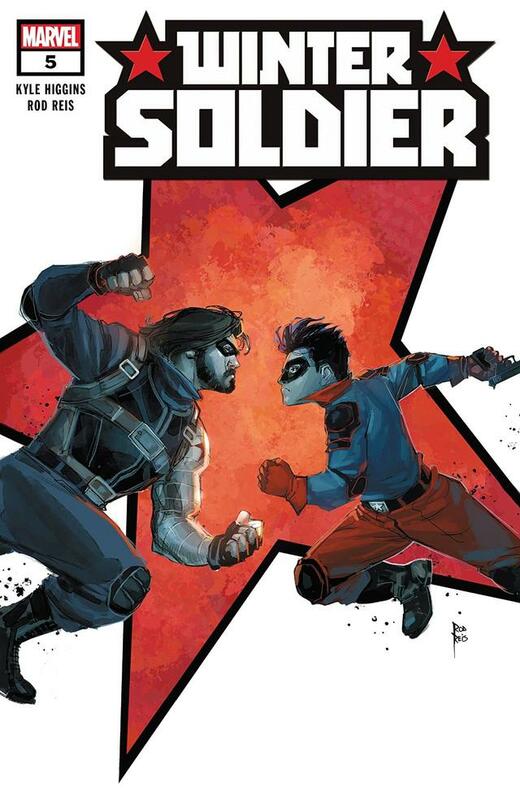 WINTER SOLDIER #5, written by Kyle Higgins with art by Rod Reis, is available now online and at your local comic shop.